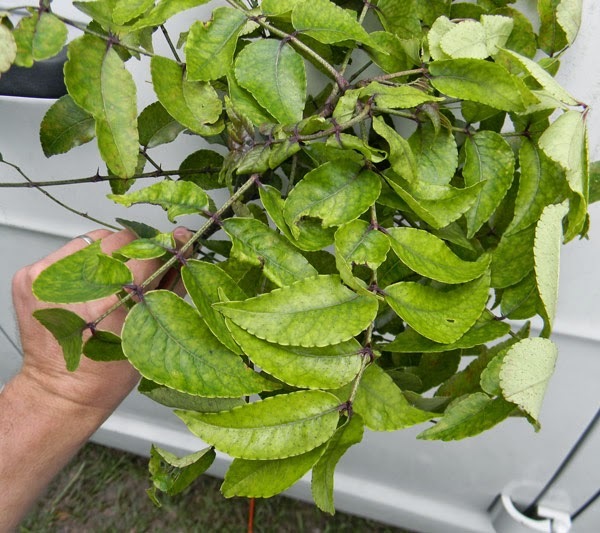 Florida Survival Gardening: Unknown Tree: Identified! 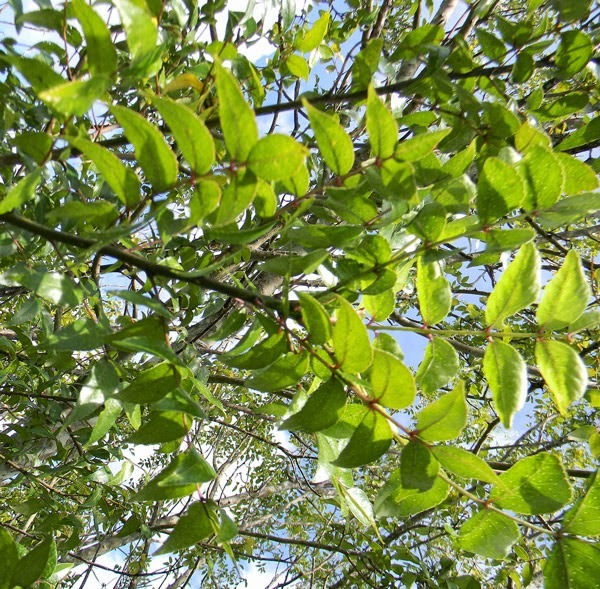 The leaves initially made me wonder if this tree was some kind of a sumac, but the encapsulated fruit you see in the third picture above disallowed that identification. 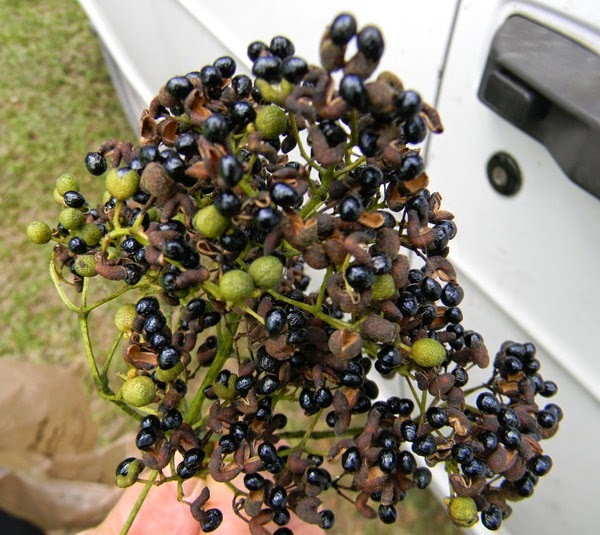 Sumac trees possess berries in either red or white, the former being edible, the latter being very toxic. Anyhow, this tree stumped me. I came across it here and there in the wild for a few years but never really looked it up. 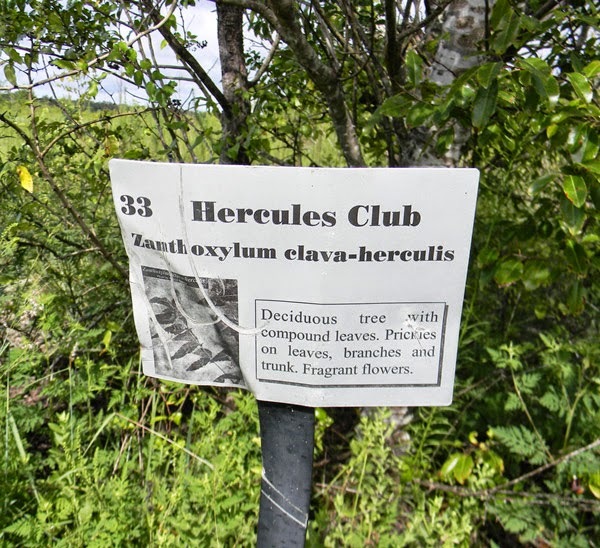 After Fred asked me about his specimen, I did some googling and nailed it down with relative certainty as the "Hercules' Club" tree, a Florida native. Okay, that clinches it. I have a Latin name. Whew. 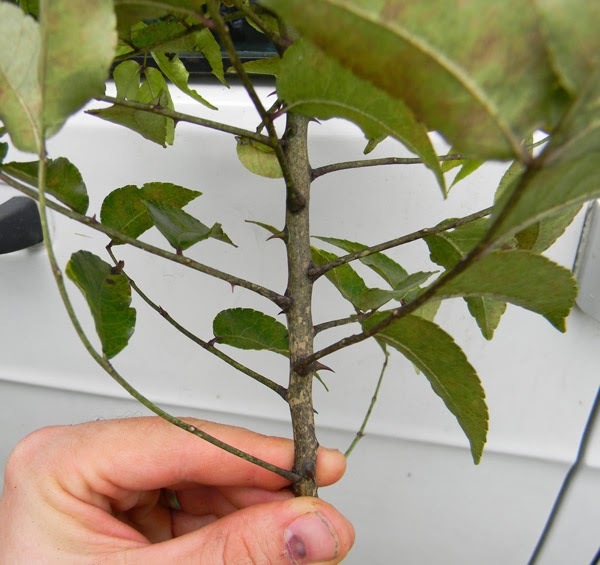 Not only is this tree an interesting native, it also has some good medicinal uses. I think I'll add one to the food forest in case I get a toothache!